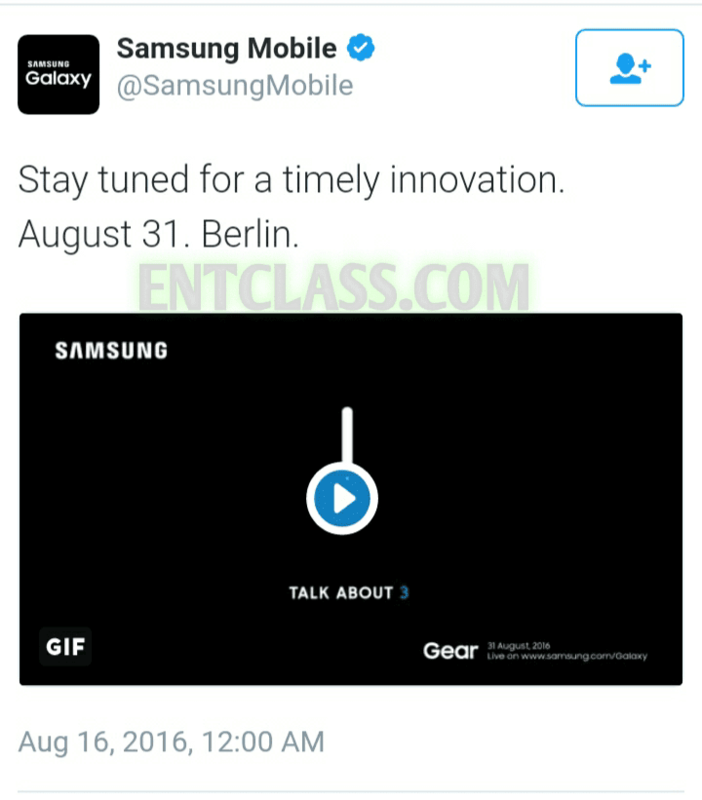 Incase you don't know, Samsung will be holding its IFA 2016 press conference coming September 1st this year 2016. It is said that, the upcoming Gear S3 smartwatch will be officially launched that same day which the company confirmed on Twitter that it will be launched coming August 31st this year 2016. As we can see, there will be no postponement or any kind as its clearly in the image which Samsung tweeted. According to what we've been hearing, it is said that there will be three versions of the smartwatch that will be launched that day which are Gear S3 Classic, the Gear S3 Frontier and the Gear S3 Explorer. They will be coming designed in round shape surface and rotary bezel.